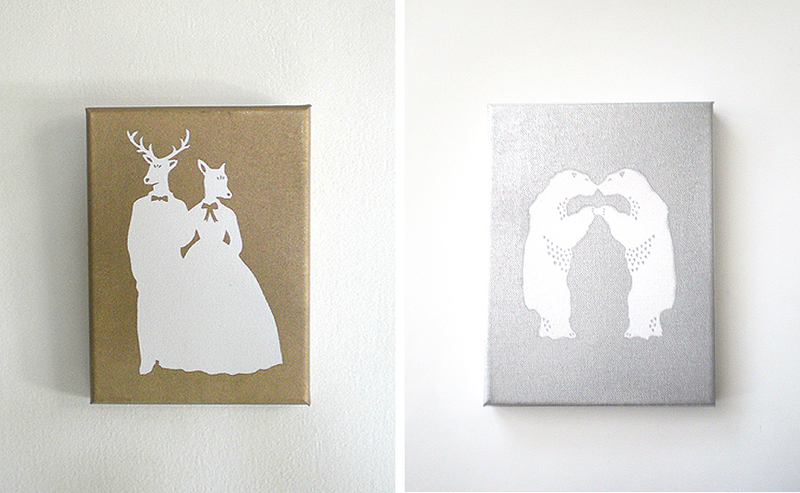 A few days ago Alison bought this Kissin Bears canvas papercut from my crafts shop. She shared her reason why on her blog The Knotty Bride, and I am really moved by it. It seems silly, but I didn't think my work really meant something for people, could make an impact. I'm glad to realize it does.